Powell Fabrication & Manufacturing had no system in place to help them track and prioritize incoming leads, or manage their quoting process efficiently. They chose Microsoft Dynamics CRM and Ledgeview Partners to help them fix that. Powell Fabrication & Manufacturing, Inc. was founded in 1964 by Clarence and Evelyn Powell. Headquartered in St. Louis, Michigan, the company is still privately held and is under the second-generation leadership of Duane Powell. A small company of about 35 employees, Powell’s core technology, the Powell Sodium Hypochlorite Processing System, has lead to the creation of an entire suite of supporting products and services that includes filtering, dilution and monitoring equipment, scrubber systems, platform loading and unloading equipment, and valve closure systems. In fact, Powell technology is widely used in the United States and Canada with their continuous systems accounting for as much as 70% of the bleach produced in North America. On a broader scale, Powell is well-known and respected in the worldwide Chloralkali industry. Several major producers in Central and South America, Africa, Australia, the Middle East, and Europe rely on Powell technology to fulfill the world’s increasing demand for bleach. So they’re kind of a big deal. A more efficient way to process and track opportunities generated from their website. A better way of tracking quotes for Highly Engineered (custom) systems. A standardized way to manage Highly Engineered Projects, including document storage and assigning personnel and resources. A standardized means for engineers to manage issues with their manufacturing process (engineering review). In other words, they needed a full-featured CRM solution that would help them get complete visibility of all their opportunities, prioritize them, and guide them through an efficient and standardized process that, ultimately, would help Powell deliver the best solution for their customers while improving the customer experience at the same time. Lucky for them, that’s right up our alley. Karen Bebow, Information Systems Manager for Powell, didn’t waste any time in researching CRM options. In her role with the company, Bebow has eyes on the entire IT infrastructure. She realized that in order to really solve Powell’s problems, the company needed a CRM solution that would work seamlessly with their ERP system, SharePoint, and their web services. She quickly moved to Microsoft Dynamics CRM, but needed someone who was expert in the system to help Powell implement it effectively. So she asked Microsoft for a recommendation – someone with manufacturing industry experience and a great customer service reputation. Microsoft pointed her to Ledgeview Partners. Lead Verification – Since Powell sells highly engineered systems worldwide, they need to be compliant with stringent export control regulations. Ledgeview Partners created a workflow that allowed Powell’s Lead Team to go through a verification process prior to assigning a new lead to a member of the sales department. Quicker Response To Customers – CRM has not only quickened new lead follow up, it’s boosted productivity for the sales team by providing them with quality, qualified leads. A Standardized, Trackable Process – Through the use of milestones and workflows designed by the Powell CRM Team and Ledgeview Partners, the sales department can now respond efficiently to initial inquiries, prepare quotes, and finalize sales. Powell can track their progress, and responses are much more consistent thanks to the built-in workflows. Powell Projects – Ledgeview created a custom entity, “Powell Projects,” within Microsoft Dynamics CRM to coordinate the project management of Powell’s Highly Engineered manufacturing process. Ledgeview wrote custom code that allows a CRM user to easily convert a closed won Highly Engineered opportunity to a “Powell Project.” The streamlined process creates a new project and automatically assigns a “Powell Project” number to it based on the engineered system type. Once that’s done, the project can be easily monitored and managed within Dynamics CRM. Before Dynamics CRM, Powell managed projects using a complicated file-based system to store documents under a shared directory. It wasn’t uncommon, prior to CRM, for critical steps in the project’s development to be overlooked, and not discovered until the promised completion date. Now, Dynamics CRM gives Powell the tools it needs to make sure those costly mistakes don’t happen. Engineering Review – Ledgeview created another custom entity to monitor engineering issues with individual parts, components, or systems. It even documents issues about quality or system design voiced by customers. It now serves as the central reservoir for all engineering issues, and the findings are used in Powell’s monthly Engineering Review meetings. Using Dynamics CRM reports, assignments are automatically emailed to engineering review committee members illustrating the list of actionable items discussed in the meeting that require their follow up. The Engineering Review entity has significantly improved Powell’s previous manual, disconnected engineering quality control process. 360º Customer View – Dynamics CRM integrates information from Powell’s ERP system to provide sales, marketing, and finance personnel with a consolidated 360 degree view of customer sales, credit, opportunities, and project information. That’s eliminated the need to search across multiple systems for information and provided structured approaches to handle opportunities, projects, and cases. A More Efficient RMA Process – With Ledgeview’s guidance and the power of Dynamics CRM, Powell’s Return Merchandise Authorization (RMA) process has been incorporated into CRM cases. Since many cases are created as a result of a routine inspection or required maintenance, having the RMA integration into CRM has allowed the Technical Service Department to merge the records of the troubleshooting process with the notes concerning the inspection and repair of the part. The list goes on. 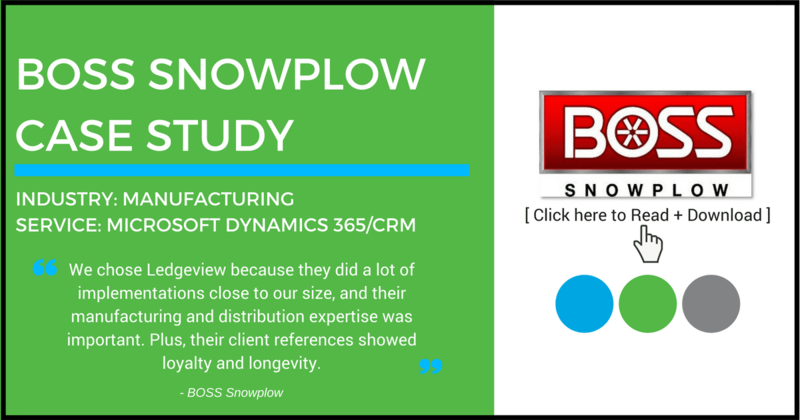 But the bottom line is Powell Fabrication & Manufacturing, Inc. has been able to leverage Microsoft Dynamics CRM to positively impact almost every aspect of its business because they chose to work with a partner that understands how manufacturing works. Increased consistency and efficiency can sometimes be hard to quantify. This particular implementation is not one of those times. To provide some context for the kind of impact that Dynamics CRM can have on a company, we just need to take a look at Powell’s sales department. There are only six people in the sales department. But since going live with Dynamics CRM in August of 2013, those six people have been able to process over $46,000,000 worth of new opportunities through Dynamics CRM. You read that right, that’s over $7.6 million worth of new opportunities PER PERSON. Powell Fabrication & Manufacturing, Inc. now has a comprehensive view of its customers, and advanced tools to help them provide a vastly better customer experience. 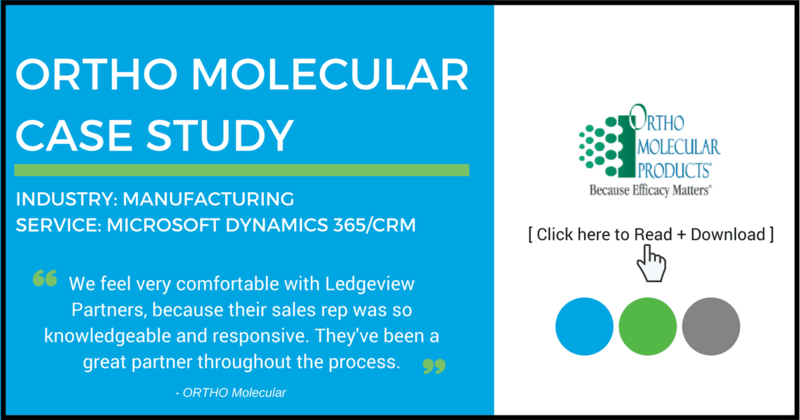 Dynamics CRM was a great choice for the company, as was Ledgeview Partners. We’re interested in helping you be successful over the long haul. Everything we do is in service of that goal. How can we help you transform your business? Powell Fabrication & Manufacturing, Inc. is a privately held company founded in 1964 by Clarence and Evelyn Powell. Today under the second-generation leadership of Duane Powell, the Powell Sodium Hypochlorite Processing System represents the company’s core technology. 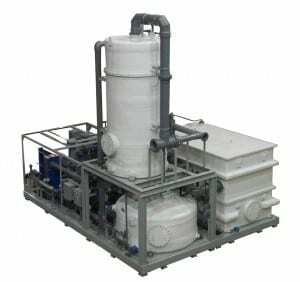 It is supported with the design, development, and production of a host of proprietary and patented product lines including filtering, dilution and monitoring equipment, scrubber systems, platform loading and unloading equipment, and valve closure systems. Our product line is used with chlorine and other gases including but not limited to sodium hypochlorite, sodium hydroxide, sulfur dioxide, methanol, ammonia, phosgene, hydrochloric acid, and phosphoric acid.